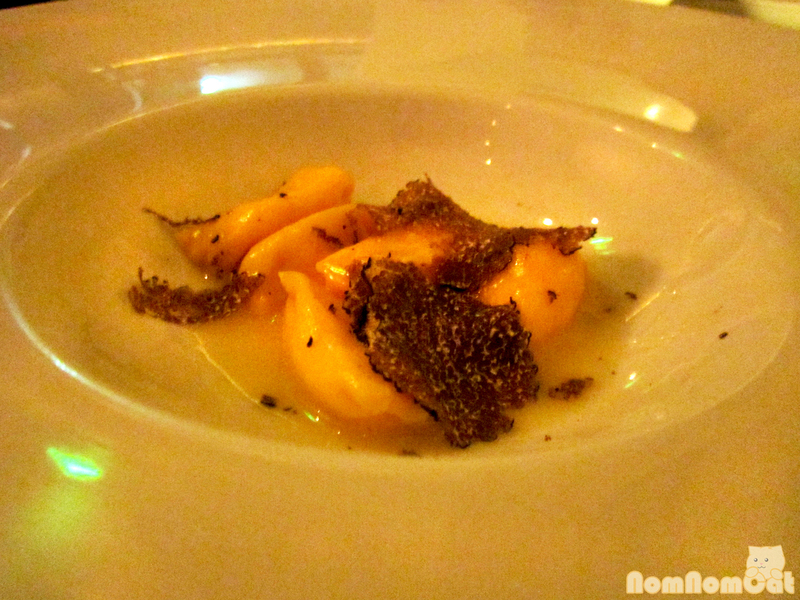 Though this entry is a bit belated, we have not missed a single DineLA Restaurant Week yet, and this winter, we would have had no excuse as restaurant “week” lasted a whopping twelve days! Winter DineLA is always extra special since it coincides with Martin’s birthday. His selection this year? A quaint little Italian place tucked away at the Venice Boardwalk… where we’d probably walked past at least a dozen times without even realizing it was there. We’re so glad we got to stop by and try their menu; in fact, one of the reasons why we chose this restaurant was that their dineLA menu offered a five course tasting of items featured on their regular menu. 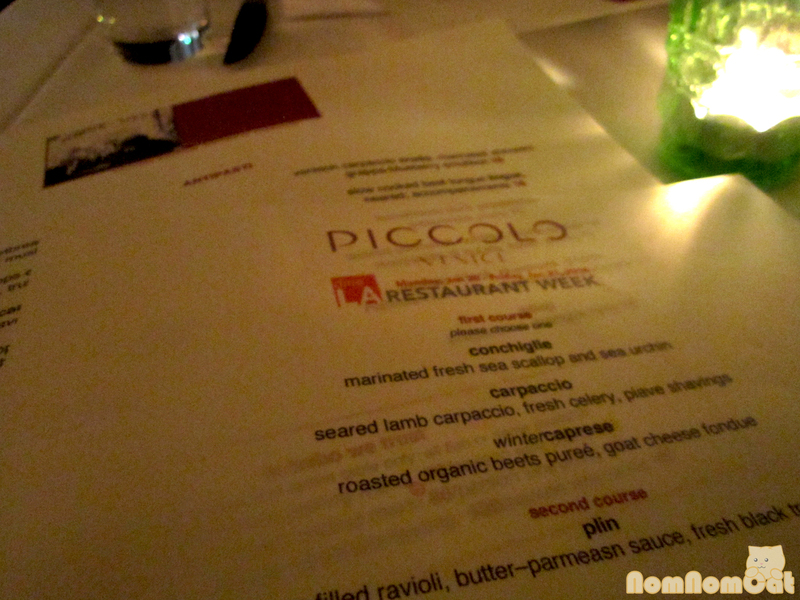 The cozy atmosphere and romantic ambiance makes Piccolo perfect for date night. Candles lighting each table, a beautiful chandelier in the center of the room… Immediately after we were seated, our friendly and oh-so-Italian server brought a basket brimming with warm table bread. 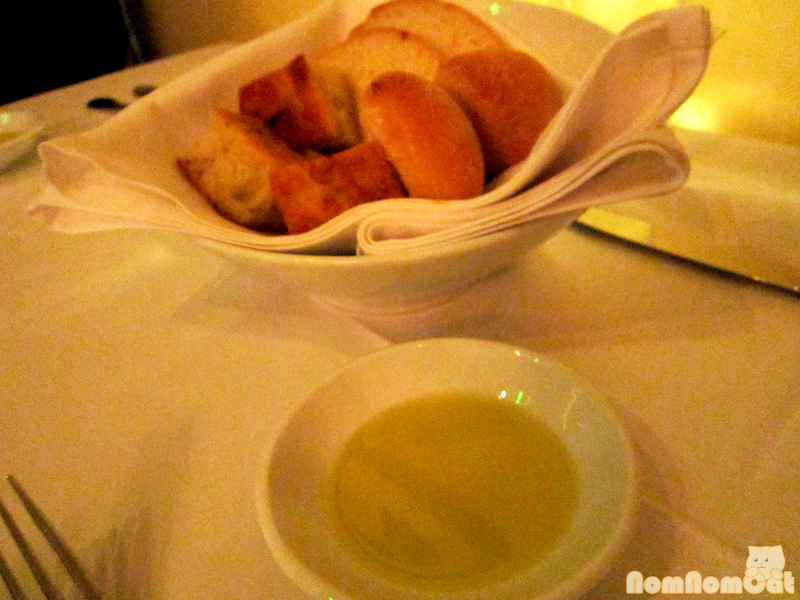 My favorite was the fluffy cubes of focaccia. 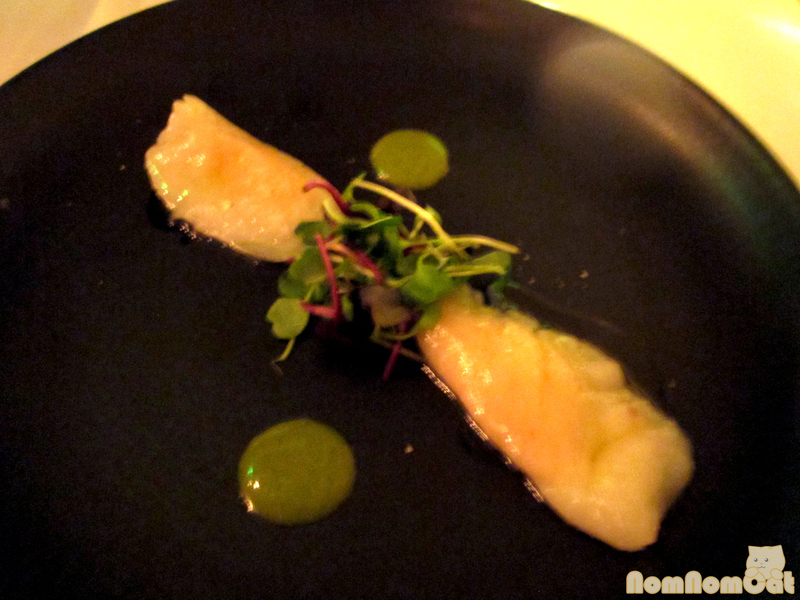 First Course: We both selected the conchiglie – marinated fresh sea scallop and sea urchin. What it fails to mention is that the crudo-esque dish arrives in the form of mini seafood “dumplings”, with the thinly sliced scallop resembling a clear hargow wrapper encasing a “filling” of uni. 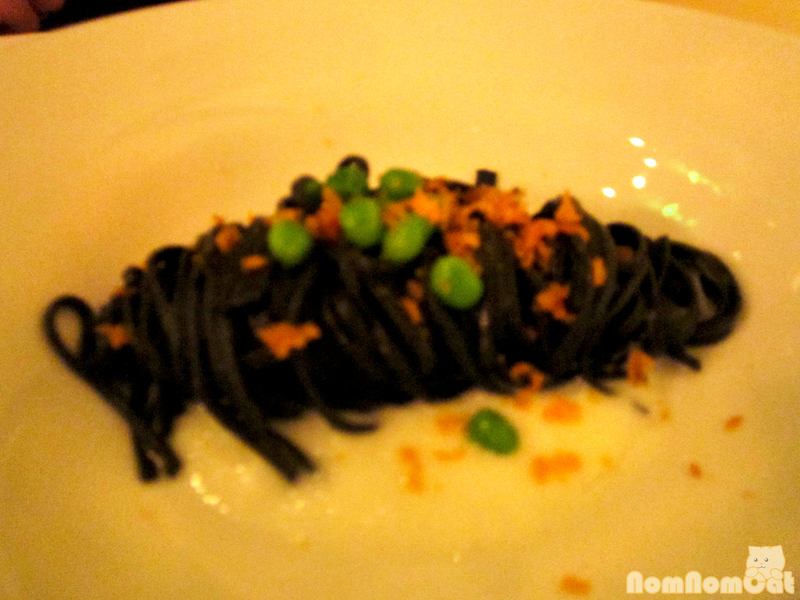 Third Course (M): neri – squid ink tagliolini, sea scallops emulsion, bottarga shavings. Martin is a sucker for squid ink pasta and he seemed very pleased with the long strands of briny goodness flecked with crumbles of cured fish roe. I was a bit jealous. 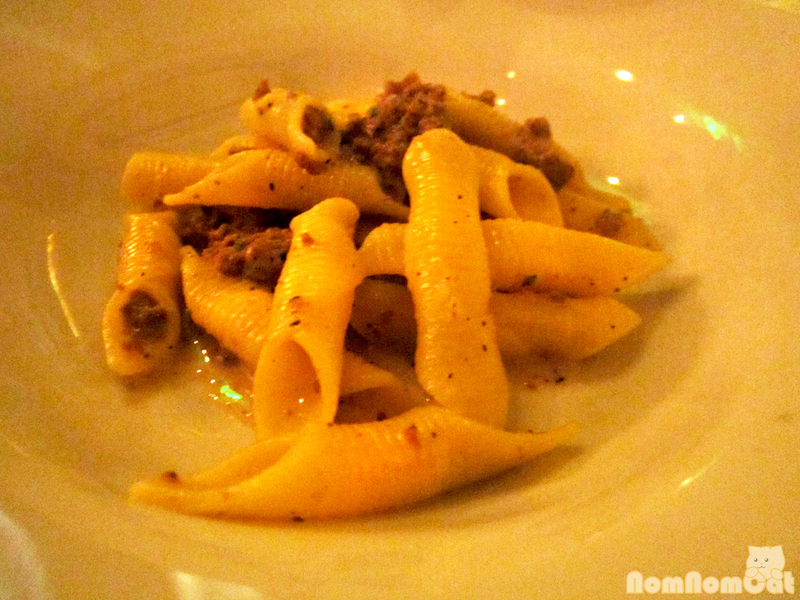 Third Course (A): garganelli – homemade, braised wild boar sauce ragu. From appearance alone, I wouldn’t have been able to tell the difference from the boar sausage and ordinary ground beef, but one bite of gamy, hearty protein and I was hooked. It paired perfectly with the al dente hand-rolled pasta. 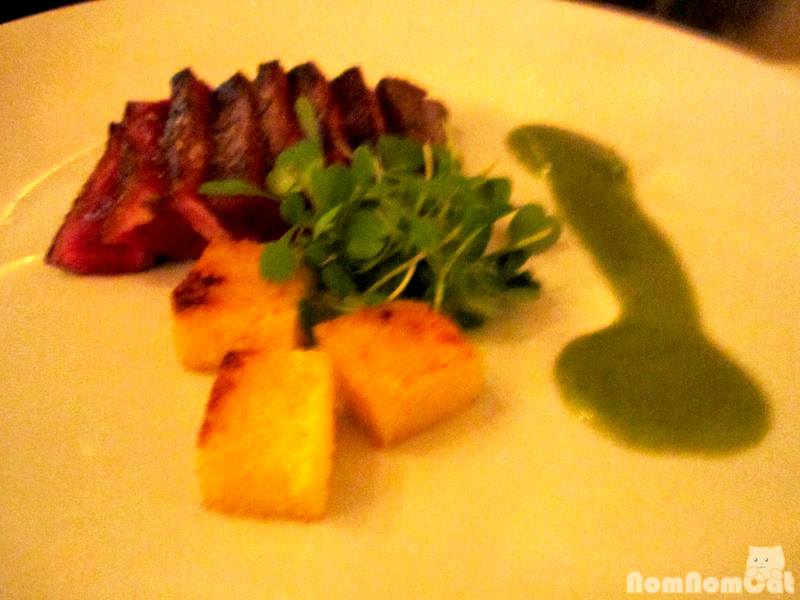 Fourth Course (M): tagliata – seared natural australian kobe ny steak, lemon-thyme pesto, maldon salt. It arrived rare just the way he likes it, and the pleasant surprise — cubes of crispy fried polenta! How did they know he loved those?! Super tender, juicy steak – this was a great dish. 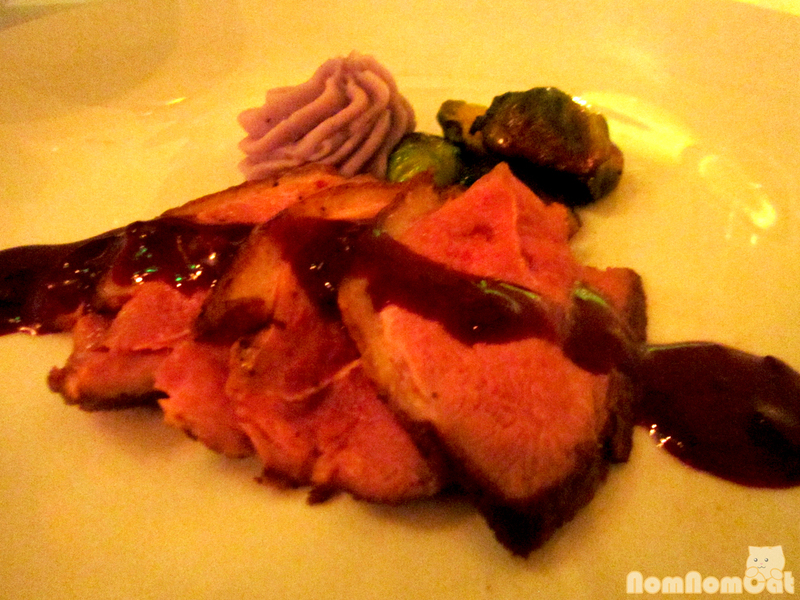 Fourth Course (A): anatra – pan roasted duck breast, roasted black currants sauce. I love a good seared rare duck breast and Piccolo did not disappoint. The meat was tender and was complemented well by the currant sauce. My surprise sides? A dollop of purple potato mash (puree?) and crispy roasted brussels sprouts… some of my all-time favorite side dishes. Again, how did they know?? Fifth Course: chef’s selection of homemade desserts. If you have any allergies or dietary restrictions, TELL YOUR SERVER. We were surprised that the plate arrived on our table without any mention of what the selections were, nor a particularly thorough description of the items. That’s okay for us though; we have daring palates and resilient stomachs. Just thought I’d warn ya. 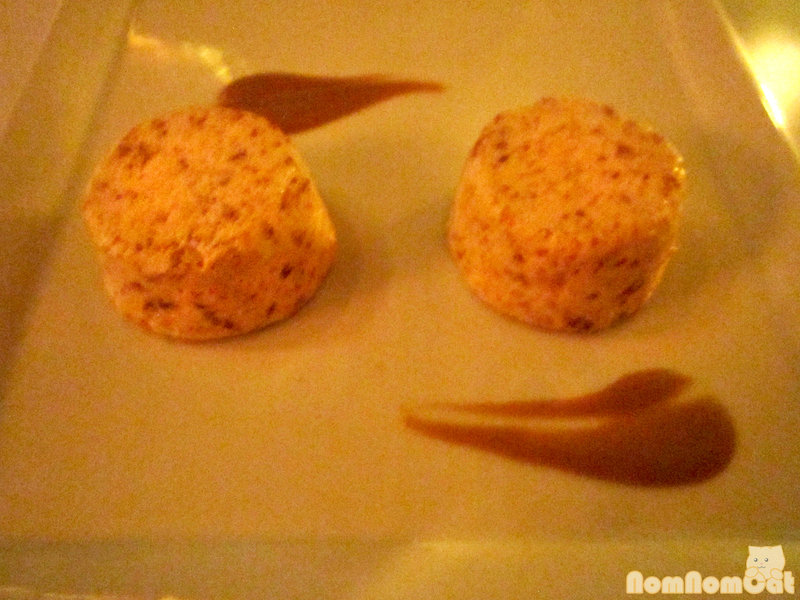 Semifreddo with amaretto caramel sauce and profiteroles (or, a la Italia, bignole) filled with fluffy dark chocolate mousse. 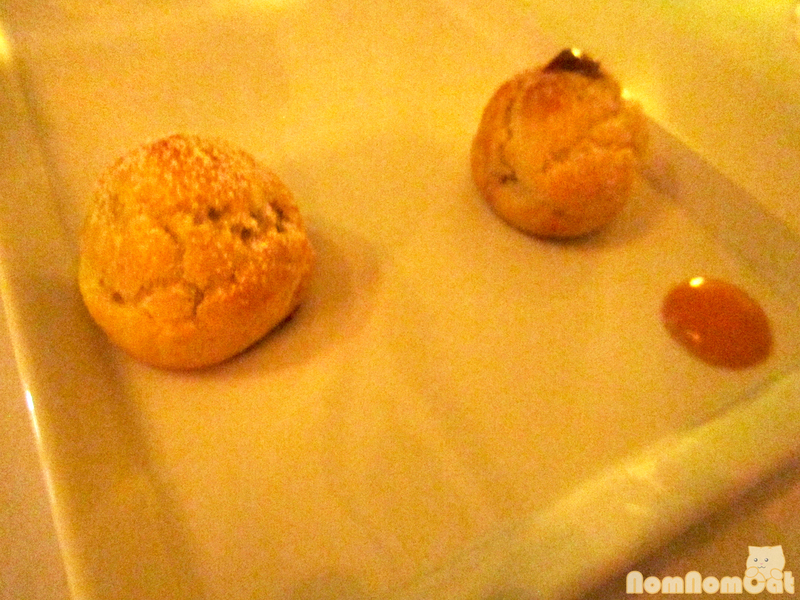 Both delicious palate cleansers and adorable little bites to end the meal. Molto bene! Parking near Venice Beach is notoriously difficult. We swallowed our pride and paid for the valet, which shares a parking lot with On The Waterfront Cafe. Summer sun, something’s begun, but oh — oh, those summer nights… Oh, Grease. Though the summer beach scenes were actually filmed in Malibu, I can’t help but think of this song while strolling through the world-famous boardwalk at Venice Beach. 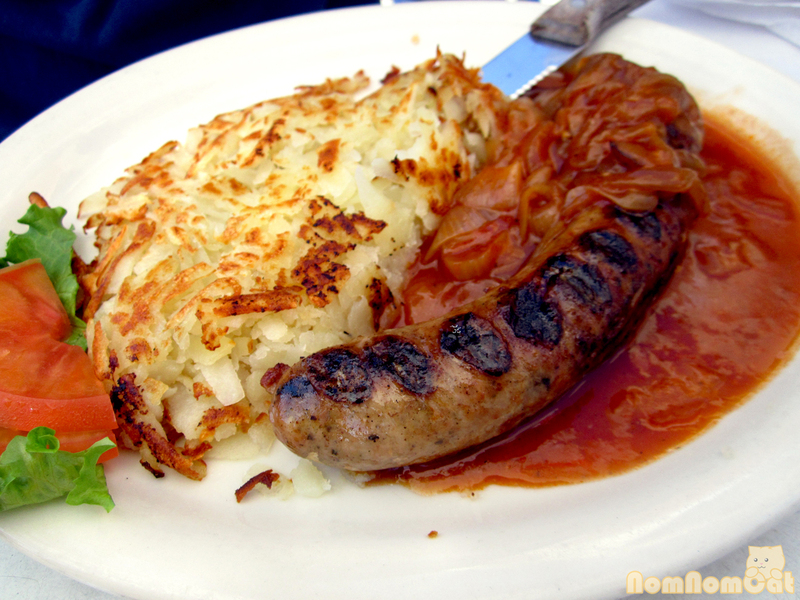 We have lived in West LA since moving here for college, but only recently did we discover On the Waterfront Cafe, a restaurant and biergarten that serves Bavarian beers on tap and features a menu of köstlich (delicious) Swiss/German dishes. The food and brews are great, as is the view — On the Waterfront Cafe is situated right on the boardwalk, just 10 feet from artists and knick-knack vendors and a stone’s throw away from the sandy beach. Of course when at a biergarten, one must try the beer. I’m not a big beer drinker aside from sweet lambics and the occasional hefeweizen, but I had done my research of their offerings (many of which are from Erdinger) and knew I wanted to try the Urweisse. Note: they recently switched from draft to bottled for this particular variety. The Urweisse, a Weißbier with notes of cloves, banana, and citrus, was a smooth beer that paired well with the noms we had ordered for our beach-side lunch, especially the pretzel. It arrived with the Erdinger branded glass and poured a stunning hazy gold color. A squeeze of lemon and I was a happy camper. Prost! 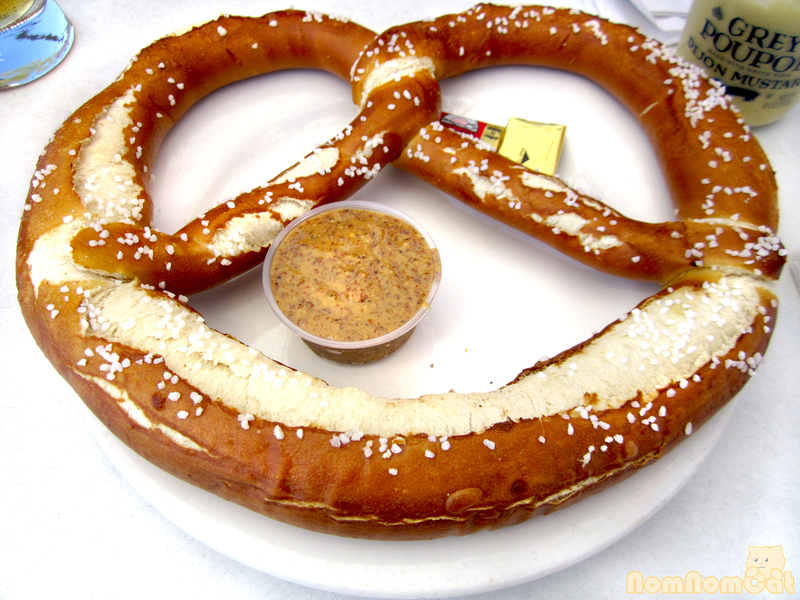 According to the menu, the pretzel served here does indeed hail from Bavaria, although the details were not specific. The recipe? The dough itself? In any case, they are baked to order and took us aback when we saw it — it was the size of a dinner plate! One is definitely plenty for two people to share. When you order, be sure to request light salt (or none at all, if you have sodium restrictions). 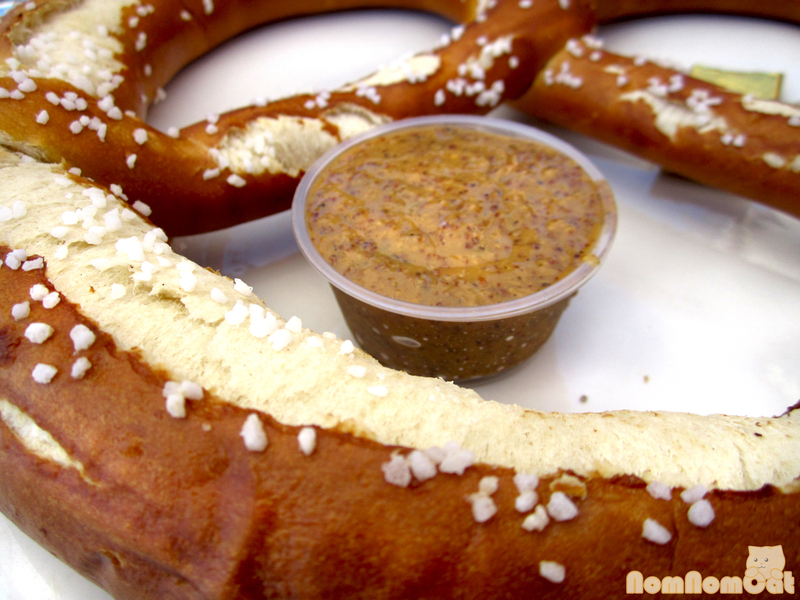 Fluffy, hot, and slightly chewy, the pretzel tasted fantastic with the sweet & spicy mustard. I’m a huge fan of moules frites, so when I spotted the Steamed Mussels served with garlic bread, I had to have it. 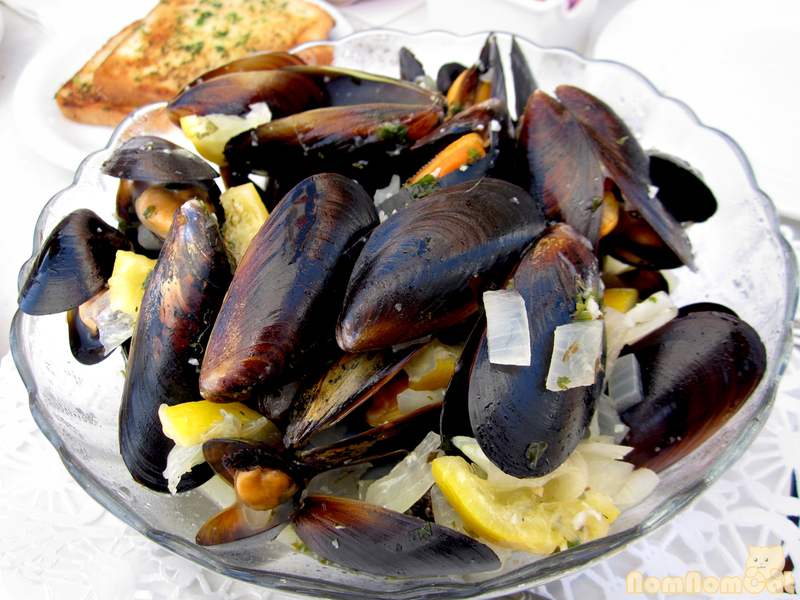 There were so many mussels, all succulent and tender, stewed in white wine, garlic, onion, and lemon. A classic combination and excellent with the Urweisse. I slurped away with glee, sparing a few for Martin to try. 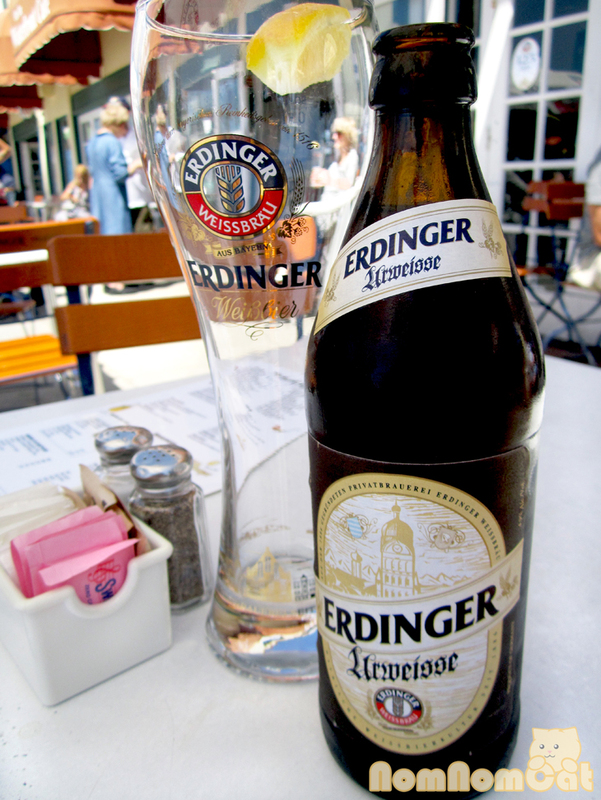 Martin decided to pair his Erdinger Weizenbier with the Swiss Bratwurst, pork (or veal) bratwurst served with onion sauce & rösti, basically crispy pan-fried Swiss hash browns. He really liked the onion sauce, dipping each bite of sausage and potato into it and even scooping up every last bite of caramelized onion. The bratwurst was juicy on the inside with a smoky charred flavor on the outside. On a subsequent visit, we took some friends here for a Sunday morning brunch. 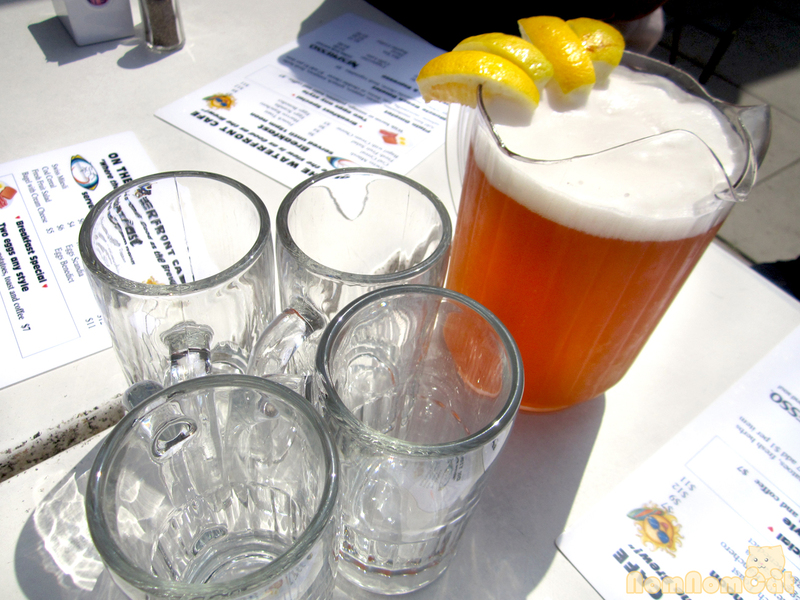 Still, it’s never too early for beer, so we shared a pitcher. If you have more in your party, the bartender lines the whole pitcher rim with lemon wedges. Keep in mind that for brunch they only serve the breakfast menu but will make pretzels upon request. Palm trees swaying, ocean breeze wafting, it’s definitely worth sitting outside on the patio. In the summertime, they set out benches at an open biergarten area that’s always crowded with locals and tourists and the occasional cluster of belligerent dudes. The patio is a great place to people-watch (and dog-watch)! Four people in our party (myself and Martin included) were planning to get the Eggs Benedict when I piped up and inquired what the Eggs Scandia is (the menu has no description). The next words that came out of our server’s mouth sealed the deal for all four of us — two poached eggs over smoked salmon on a butter croissant topped with hollandaise and dill, served with breakfast potatoes. 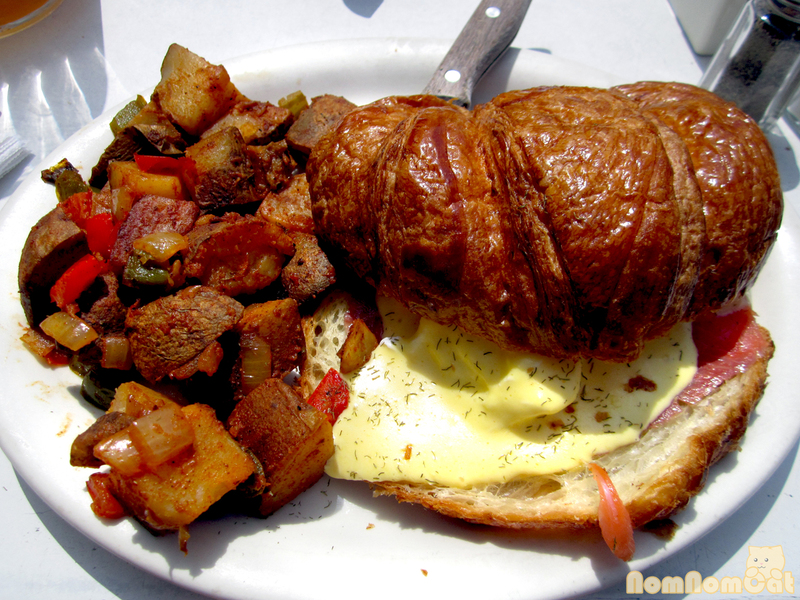 What lies beneath.. the top half of the croissant. The croissant was buttery and flaky. 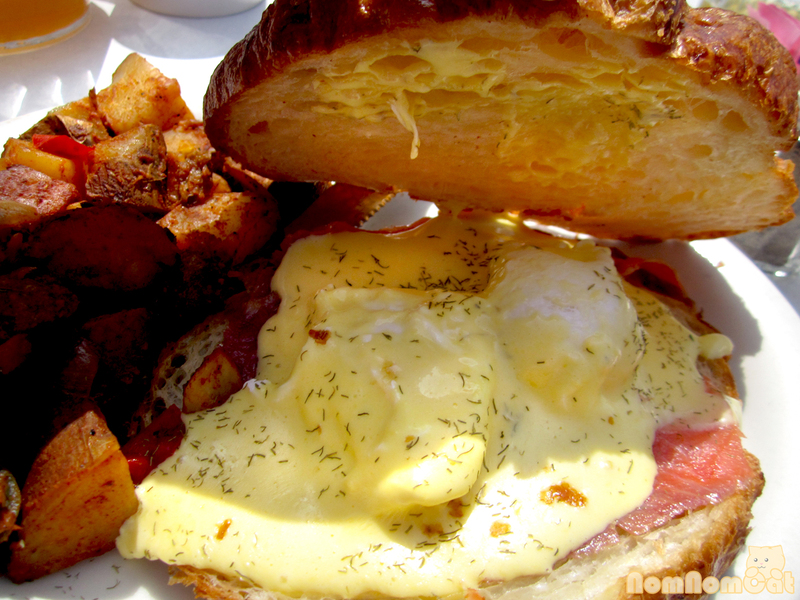 I love Eggs Benedict but usually my favorites are the ones that are served on croissants… as if the silky egg yolks weren’t already bad enough for my cholesterol levels. My absolute favorite are crab cake benedicts, but those are harder to find. The smoked salmon added a nice saltiness to cut the creaminess of the hollandaise, and dill and salmon is a classic flavor combination. 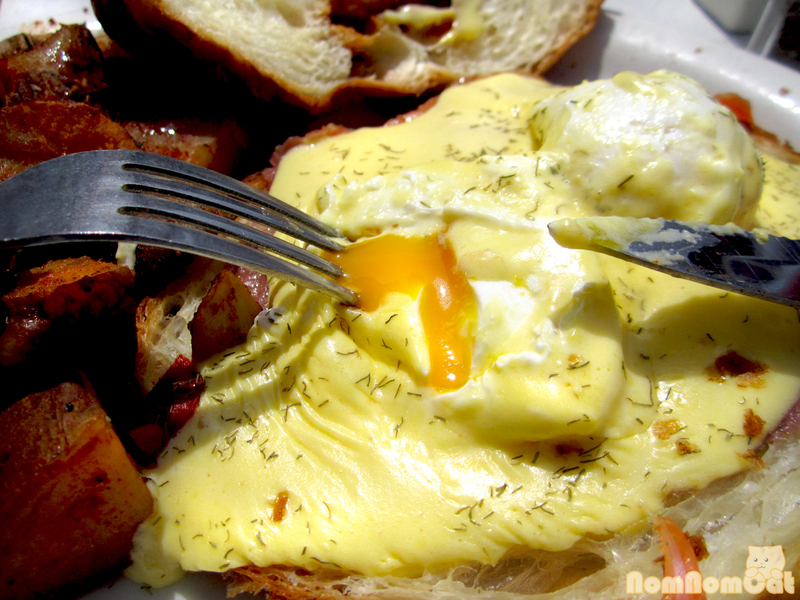 The best part of eating Eggs Benedict (or in this case, Eggs Scandia) is cutting into a perfectly poached egg and watching the runny yolk ooze out. Picture perfect. The potatoes were pretty good too, crispy and full of flavor – I detected a sweet smokiness… paprika perhaps? Extra delicious with a splash of hot sauce. 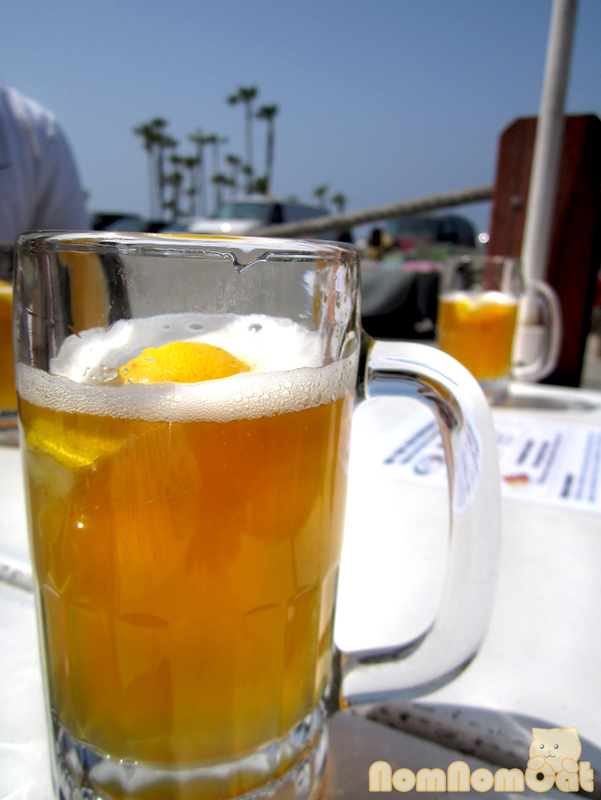 If you’re looking for brunch, lunch, or just a beer and pretzel in Venice Beach, be sure to stop by On the Waterfront Cafe. After your meal, you can walk off the carb-filled pretzel and check out the Boardwalk. Sounds like a win-win situation to me!